Limerick’s boxing boom looks set to continue with another one of the city’s talents turning professional. Corpus Christi welterweight Lee Reeves is to make the move and will relocate to Canada for an assault on the pros. The 23-year-old has linked up with Lee Baxter Promotions in Toronto and will make his professional debut NEXT WEEK. Reeves is a two-time Irish underage champion and won Senior A gold at the Haringey Box Cup earlier this year. Reeves has been in training for his debut the past few months including time spent out in Spain sparring with European champion Kerman Lejarraga ahead of his title defence against Frankie Gavin. The slick southpaw will make his professional debut next Saturday (November 17th) at the Danforth Music Hall in Toronto where he will face Mexican Benito Aburto [2(1)-2(1)] over four rounds. 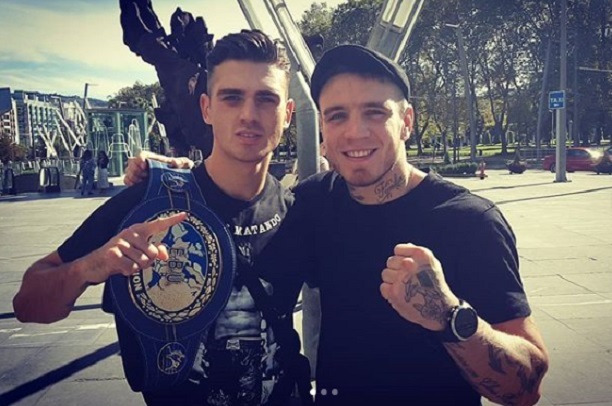 Reeves is the latest Limerick fighter to turn pro following Garryowen light middleweight Graham McCormack and Limerick-based Killarney lightweight Siobhan O’Leary who are both with Boxing Ireland Promotions.